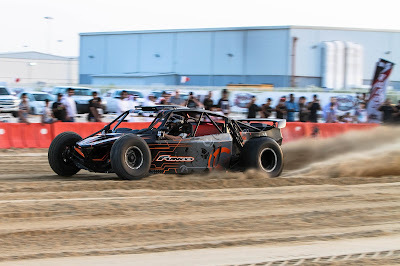 Home > AlAnabi Racing > DragRace > News > Qatar Drag > Qatar Racing Club > sand drag > Al Anabi Racing put up beautiful sand track in 72hrs and we loved it! Al Anabi Racing put up beautiful sand track in 72hrs and we loved it! Is there anything racing that the team at Al Anabi Performance and Qatar Racing Club can't do? 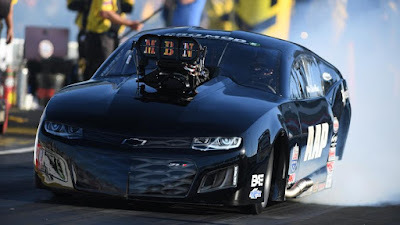 From owning the first NHRA Legal pro mod in the 5.6s trim to owning of significantly modified Nissan Baja Patrol Wheelie Car that has destroyed the internet in the last couple of days, the team that boasts of owning the flattest and smoothest drag strip in the world now has a 300ft sand drag track and yes it will be hosting its second championship right here in Qatar Racing Club! Qatar Racing Club continues to expand its pride as a one-stop motorsport destination in the Middle East with a formula kind customizable drift pad, a 1/4 drag strip that runs 1/8th mile as well and now this sand drag strip that to our surprise was a bare land until 72 hours ago. On the outskirts of the facility is another upcoming Al Anabi Dirt Track rather demarcated as Industrial Area Circuit! Watching this video, you wouldn't believe it took the team under the leadership of Moe Atat less than 72hrs to have this magnificent track put up and prepped ready for testing. They imported sand from Sealine Beach making trip after trips until the pile was good enough. Man i don't know how many of laps they made to sealine to bring in the sand. But they couldn't stop - David Cook! The stands was quickly erected and a tent pitched for pit area that would serve as paddock area. When this was ready the operations team put up Race America sensors to the 300ft bear sand. Couple of testing followed then the track was declared ready for the event! But talking to the team that worked all around the clock to have this track ready you may not know what kind of commitment they put to have this race ready! Now to its second round after a successful round one,Qatar Racing Club invites you all for the second round of Sand Drag Competition.Drivers and teams competing must go through registration that will start from 3pm on race day (Friday) and later race at 5pm. This is a FREE ENTRY event. Just arrive with your family and friends and feel the power of these cars stampede the sand here at Qatar Racing Club.